Are you up to the challenge of Cipher Prime's experimental puzzler? We're like moths to a flame when it comes to the more experimental side of the App Store. There's room for all sorts of games of course, but anything that isn't a match-three puzzler or a physics struggles inevitably struggles under the suffocating weight of these games. 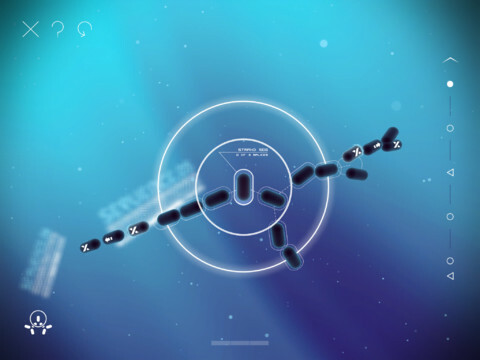 We like to single out innovation whenever we can though, and as a game of evolution where you tease and evolve molecules into new life, Splice caught our attention immediately. First things first, and despite the elegant interface and presentation of the game, there is almost nothing in the way of a tutorial in Splice. There are some brief and cryptic help screens, but you'll spend the first half an hour of your time in the game simply selecting cells at random, shifting them towards highlighted spaces, and just seeing what happens. Eventually, you manage to fill the cellular outline that needs to be completed to pass a level. Most of the time, you'll have no idea how you managed it. Then you realise: "PIVOT!" The individual molecules pivot away from the molecule you've just spliced, allowing them to drift out and fill the remaining cellular slots. This and every other epiphany in the game is hard won indeed, and even when you've gained this most basic knowledge it's still an ongoing headache to unravel similarly themed puzzles. 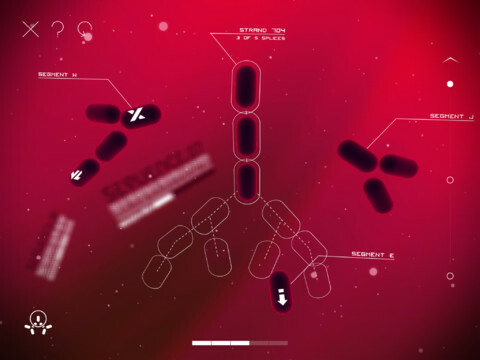 What will be immediately obvious from even a cursory glance at the screenshots in this review is that Splice is a breathtakingly elegant game. As well as the crisp visuals, there's a beautiful and melancholic piano soundtrack that idles along with your genetic tinkering. In atmosphere, experimentation and oddity, Splice is marvelous. While the original PC release of course favored keyboard and mouse controls, this is a game that seems almost designed from the ground-up for touchscreens. A gentle touch is all that's required to grab hold of a cell, and scrolling your finger along the right-hand side of the screen rewinds time. You'll be doing this quite a lot, it goes without saying. There are seven "sequences" in total, each comprised of a series of levels known as "strands". Each one gradually opens up the complexity of the game, so while in the first sequence you're simply pivoting cells into place, before long you're having to use cell-multipliers to bulk out the required structure. It never gets easier or more intuitive, and you can't help but feel that a chance to play around with each round of new mechanics for a few more levels would have helped hugely. As a toy to play with, Splice is a wonderful thing. As a game however, it just lacks that essential moment where you feel that you've made progress entirely through ingenuity rather than random experimentation. By the time you've gained a grasp on the mechanics, and started to gain insight into the many nesting processes, the game's quickly over. With that said, those who value experimental game design over a crystal-clear challenge will certainly appreciate Splice's mysterious charms. 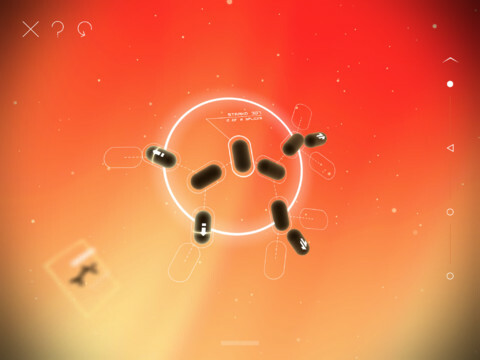 What's Hot: Beautiful and slick visuals make this fresh puzzler stand out. The soundtrack's fantastic too. What's Not: A very confusing game, and one where progress is more often than not a result of luck rather than judgment.